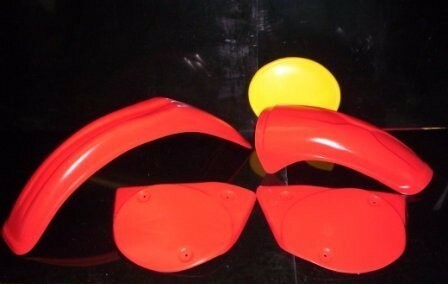 This kit is available in orange, yellow, and red. 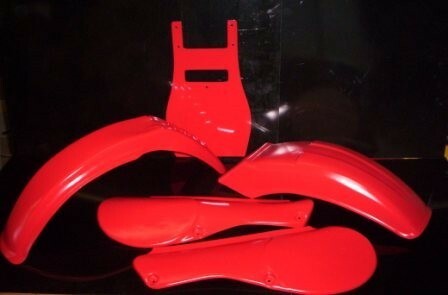 This plastic kit includes a front fender, rear fender, pair of side panels, and bubble front number plate. 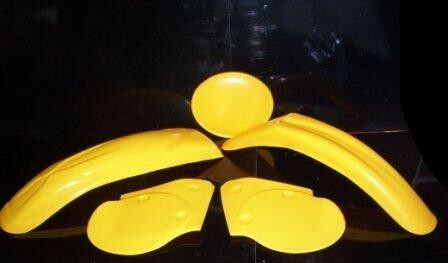 This kit is available in yellow or white. 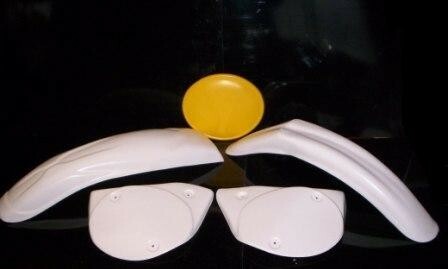 This kit includes a front fender, rear fender, pair of side panels, and a bubble front number plate. 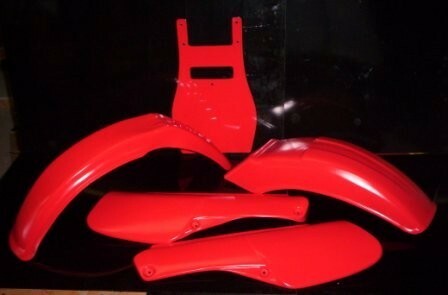 This kit includes a front fender, rear fender, pair of side panels, and a front number plate. 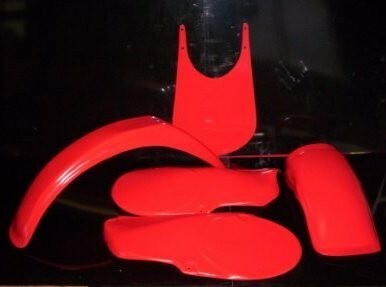 This kit includes a front fender, rear fender, set of side panels, and a front number plate. 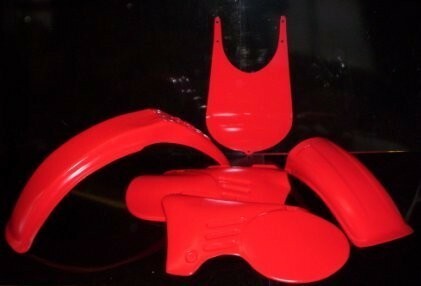 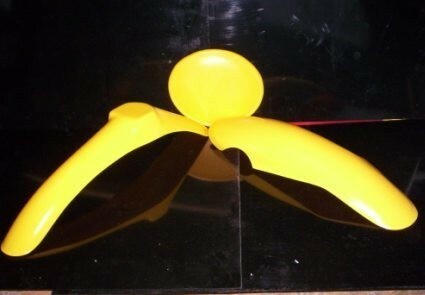 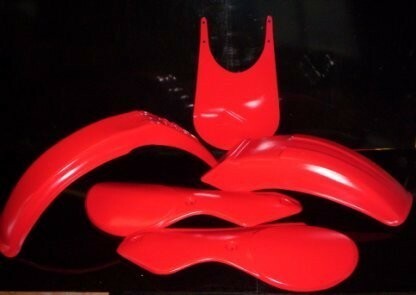 This plastic kit includes a front fender, rear fender, set of side panels, and front number plate.